Have these questions and others answered by motivational speaker, Chuck Wolfe on Thursday, April 25th at 7:30 p.m. at the Mark Twain Library in Redding. It matters because emotions are always present. Emotions drive our thoughts, our self-talk, and these thoughts drive behaviors. If we want behavior change in ourselves, or in others, we need to understand the role emotions play and how we can change them. If we don’t pay attention to our emotions, or to the emotions of others, the damage we might do is sometimes irreversible. One leading strategy for improving how people manage emotions is the Emotion Roadmap, an innovation created by Chuck Wolfe. The Roadmap has helped countless individuals improve how they deal with change, conflict, performance, teams, relationships, and many other areas. The Roadmap also helps people handle specific emotions such as depression, anger, fear, and anxiety. In this 90 minute presentation Chuck will describe the Roadmap and share cases from his leadership coaching practice and audio clips from his radio show “The Emotion Roadmap: Take the Wheel and Control How You Feel.” Participants will leave with strategies for improving how they deal with challenging situations involving strong emotions at work and at home. Chuck Wolfe is a motivational speaker, leadership coach and consultant, and pioneer in emotional intelligence. He worked with Yale President Peter Salovey and his colleagues to create the certification program for their assessment of emotional intelligence abilities. When experts were selected to write chapters in a professional desk reference for coaches he was asked to write the chapter on emotions and coaching. The chapter, “Successful Coaches Influence Emotions, Thoughts, and Behaviors” was published in Professional Coaching Principles and Practice(NY, NY: Springer Publishing Company, 2018). He was recently chosen to join the faculty for the Daniel Goleman Emotional Intelligence Coaching Certification Program. He has worked and spoken at universities like Harvard, MIT, and Yale. His consulting practice includes well known organizations like Exxon/Mobil, Fidelity, AIG, Aetna, UTC, Yale New Haven Hospital, ESPN, US Coast Guard, US Army, Marriott Hotels, and many more. 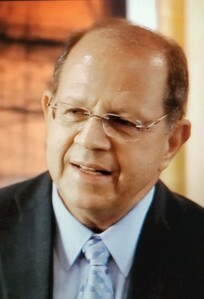 And he has volunteered since 2007 to host his radio talk show “The Emotion Roadmap” on WPKN, a nonprofit community radio station in Bridgeport, CT.